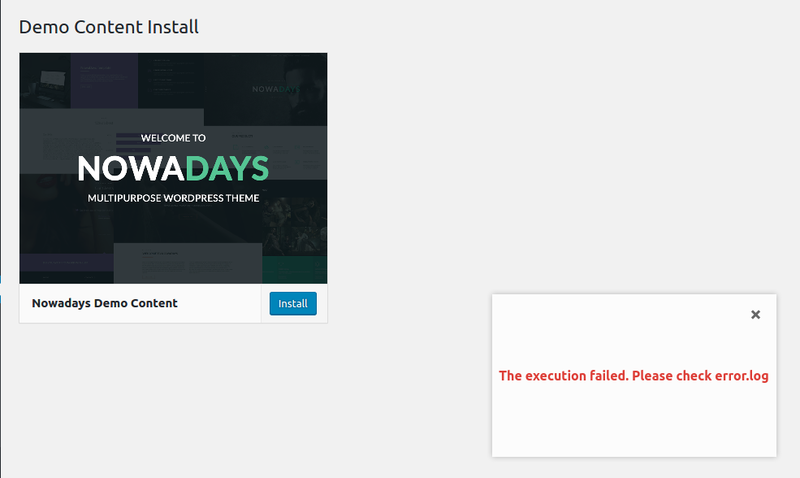 First of all, thank you for purchasing NOWADAYS WordPress Theme. I hope you like it. And if so, please don't forget to rate it 5 Stars in your account. It means a lot for me. Thanks. Navigate to nowadays.zip from only theme archive file on your computer and click Install Now. If I buy this theme, will I get all the pages like in the demo? Yes, sure, you're getting all the layouts you see in the demo. 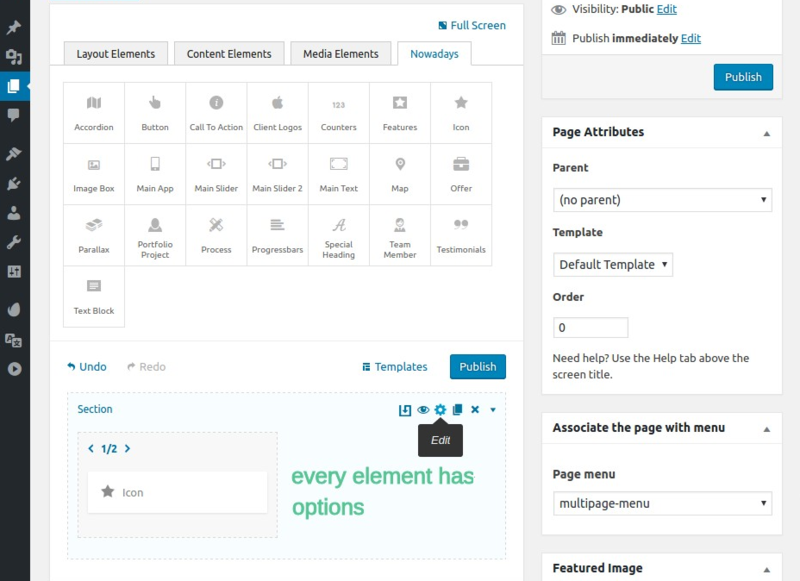 The theme comes with importable demo content. 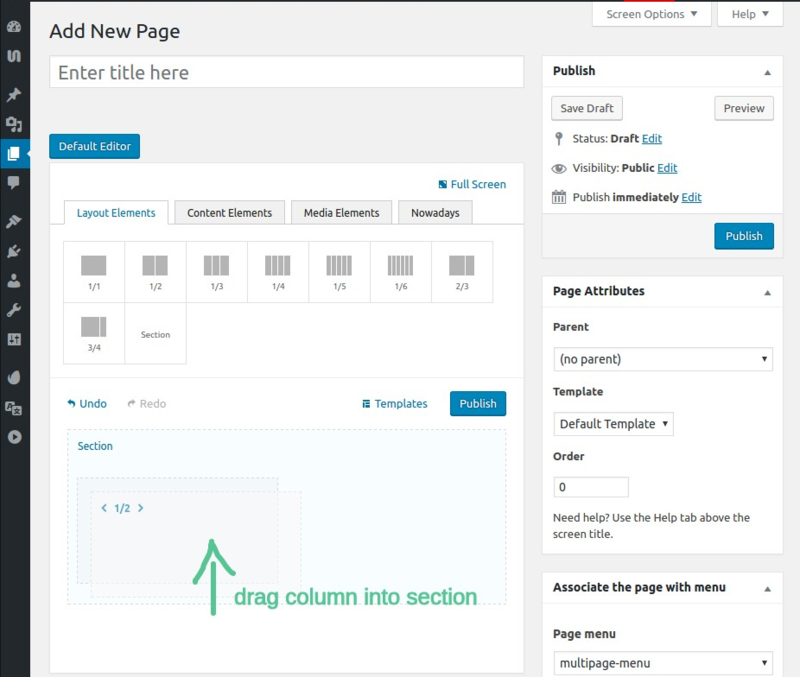 You'll just have to replace the images and content with yours and that's really easy to do using drag-n-drop Page Builder. 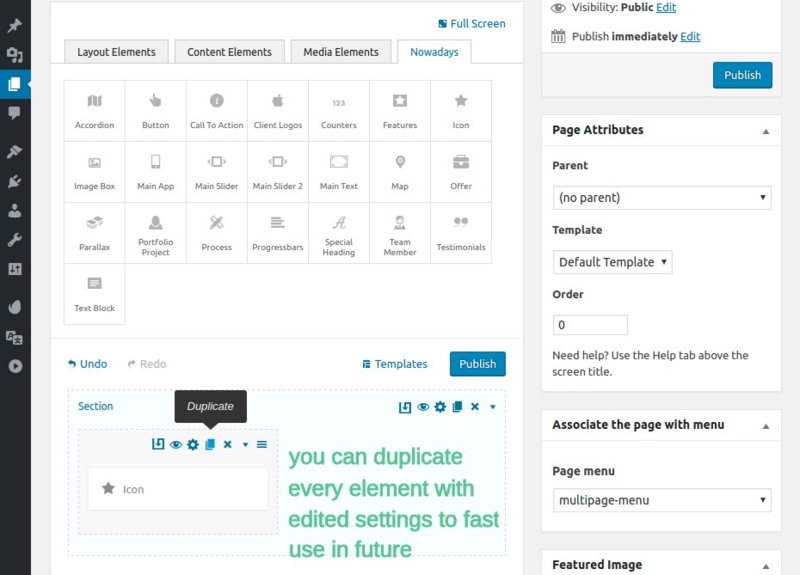 Yes, sure, you can create fully custom pages by mixing and matching the elements available in the theme. 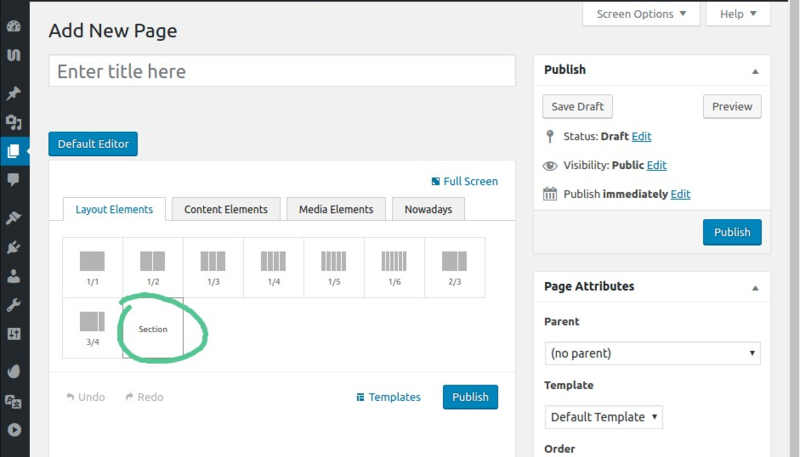 You're not limited to what you see in the demo, those are just a few example meant to show you the possibilities and help you get started, but you're free to create a fully custom page that will be a good fit for your needs. I have an error when I try to do the import Demo Content. The most likely reason is weak/cheap hosting which can't handle image resizing. I have an error: "Sorry, you are not allowed to access this page" while importing demo. I received an email notifying there is an update available. 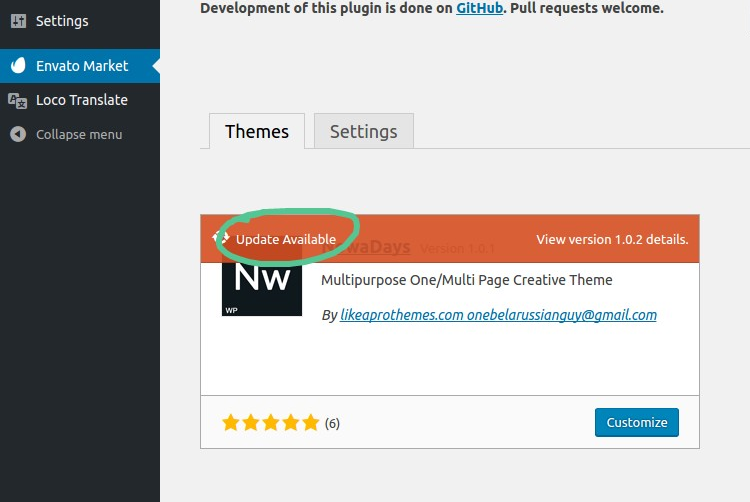 How to update theme? 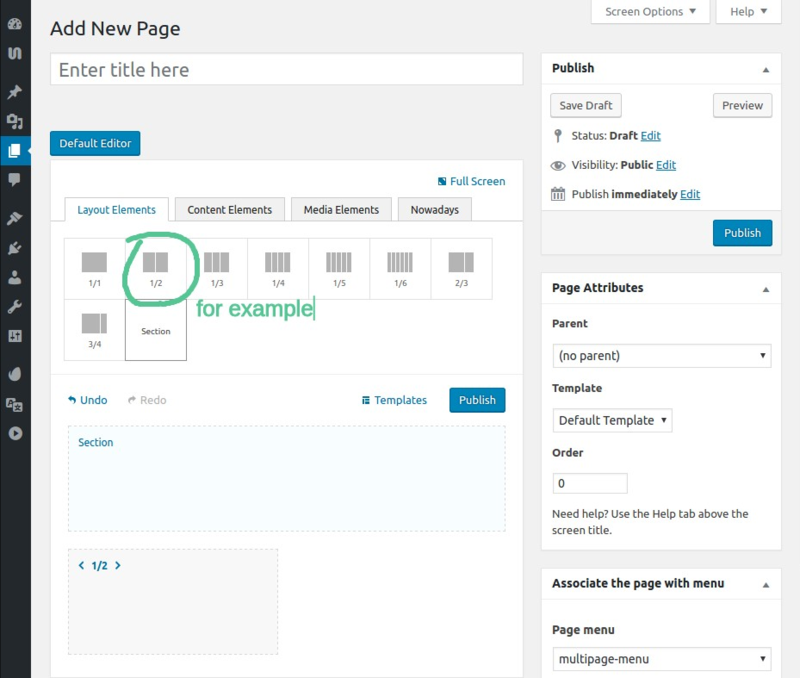 Note: All of your changes will be saved, so Do not import Demo Content after theme update, because it might to break your customizations. 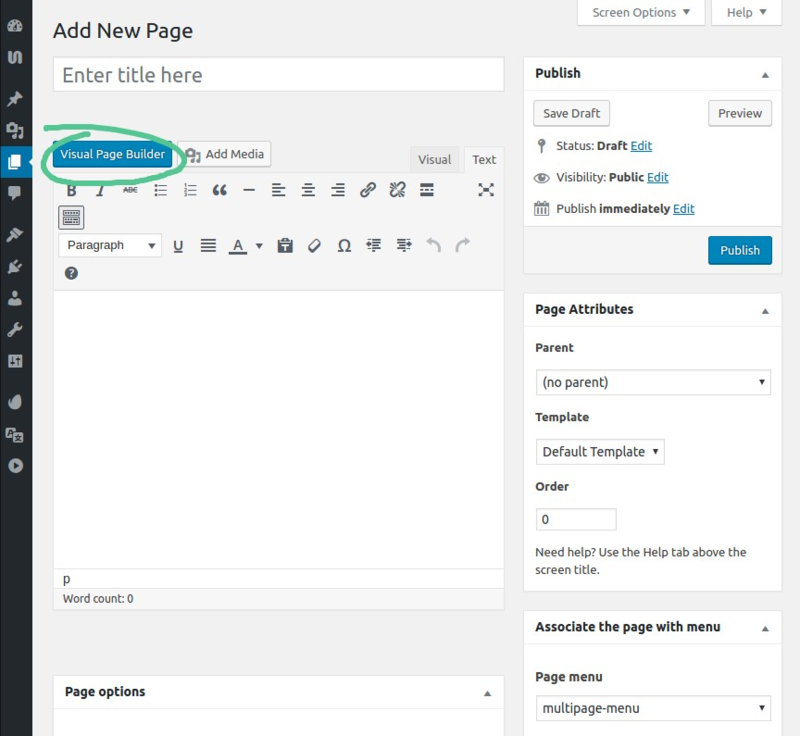 How to create new page using Page Builder? Here are a few examples how to work with shortcodes(elements). Other shortcodes works the same way. All elements should be placed inside section at least. 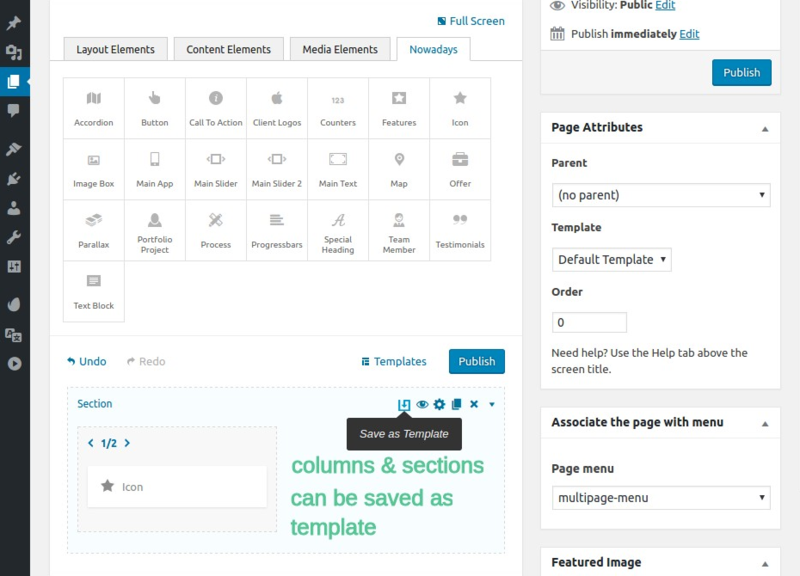 Elements can be placed inside responsive columns. Columns, in turn, should be placed inside section shortcode. 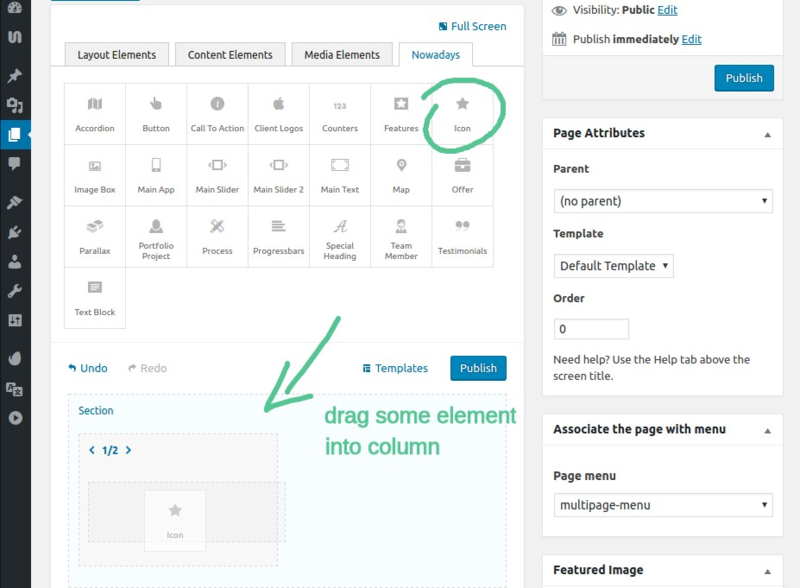 Columns can change its width depending on screen resolution and can be hidden for specific resolution. Also if you want to animate an element on scroll, put it into column and choose animation that you like. 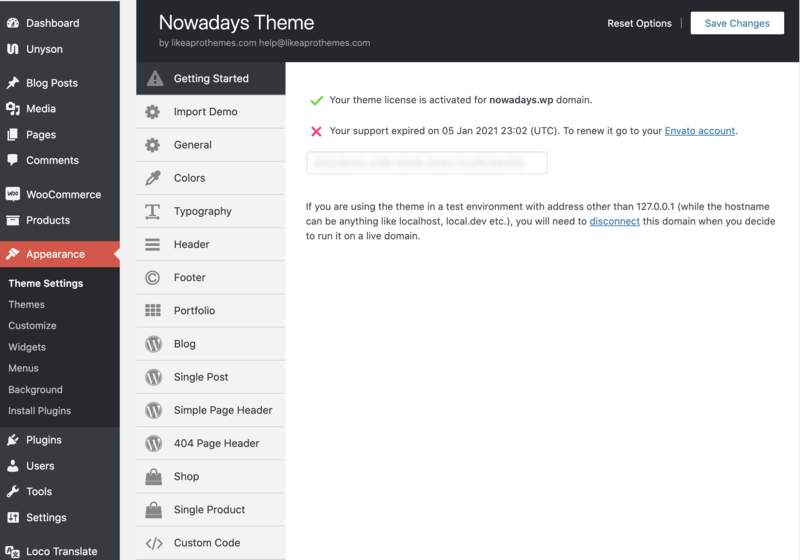 Theme settings are global which means it will be applied to whole site. 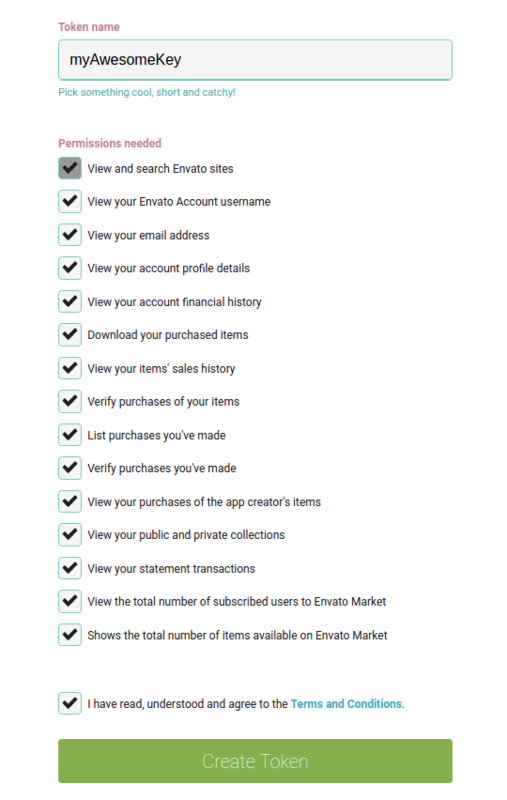 Some of these options can be changed for each page separately in page settings.